The company has already constructed a 20-foot levee around its factory in coastal Louisiana. 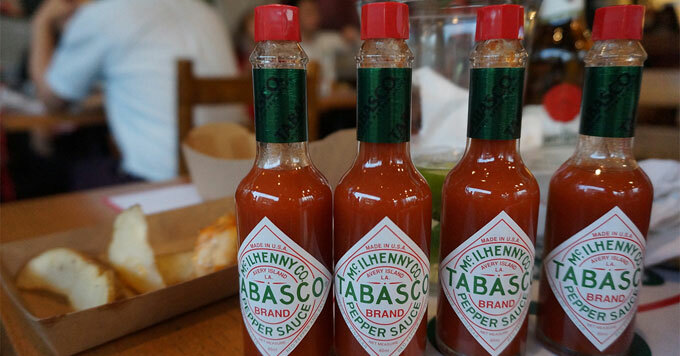 For 150 years, the family-owned McIlhenny Company has made Tabasco hot sauce on Avery Island, in coastal Louisiana. It’s the only place it’s made. Executive Vice President Harold Osborn says to ensure that legacy, the company must protect itself from climate change. Avery Island is essentially a hill surrounded by grassy marsh. Its elevation makes it less likely to end up underwater than other areas nearby. But flooding is still a concern at the Tabasco plant. They’re also preserving the island’s natural buffer: the marsh. He says the island is an essential part of the company’s history.